The processing of the second image is quite good. 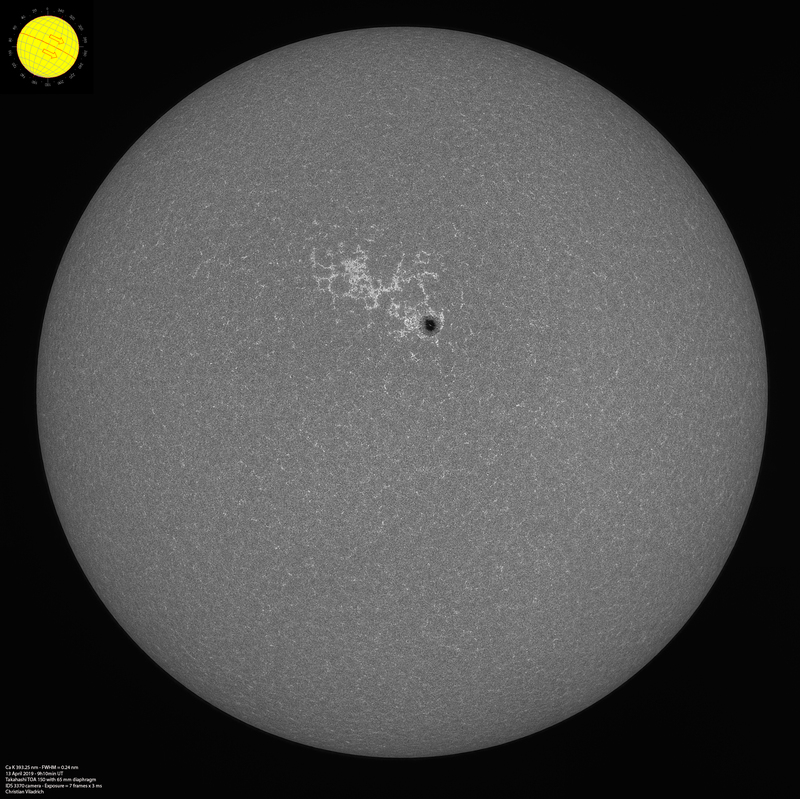 We were lucky to have this nake eye sunspot. The seeing conditions were rather good on that day. I am using the Baader Planetarium FFC. It performs beautifully in near UV. Well done Valery. Some activity at last ! Very nice indeed, Bart ! Well done ! There is a clear 3D-effect. Indeed, this is a very nice Ca K full disk image. Just wondering at what time did you take it ? It seems the pores were more developed compared to my images taken on the same day. It is amazing how fast these small things evolve. Indeed, many of the papers based on observations made at the SST are very interesting for amateurs like us. This small active region was the nice surprise of this morning. Nice set of images !